5. Being able to enjoy the chess game. ﻿﻿The benefits of playing chess, and it's easy to see why! 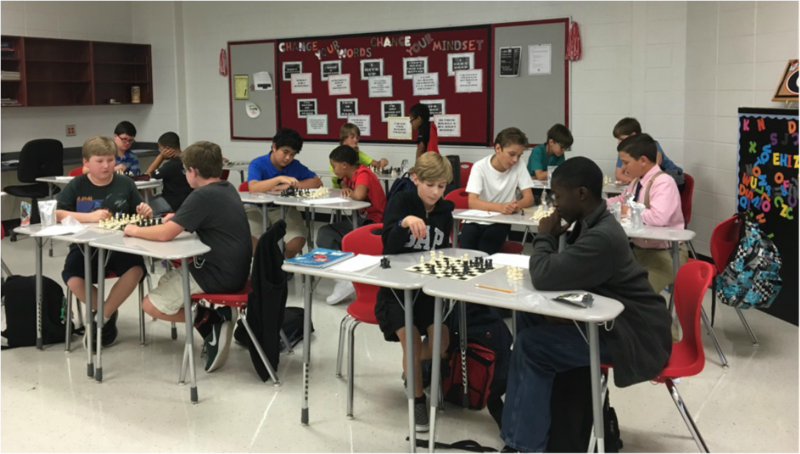 Decades of research demonstrate that playing chess improves students' social skills, memory, spatial skills, numerical abilities, verbal aptitude, creative thinking, problem solving, and reasoning skills. ​The Goal of Chess is a game played between two opponents on opposite sides of a board containing 64 squares of alternating colors. Each player has 16 pieces: 1 king, 1 queen, 2 rooks, 2 bishops, 2 knights, and 8 pawns. The goal of the game is to checkmate the other king. Checkmate happens when the king is in a position to be captured (in check) and cannot escape from capture.